Even as the rest of Kerala heaved a sigh of relief with the red alert being withdrawn, parts of Alappuzha are struggling to rescue people who are still stuck in their houses. Josh stands near his boat, looking around aimlessly even as the crowds stream in to watch the fishing boats. He and many other fishermen have come from Poonthura in Thiruvananthapuram and other places in Kollam district to help those caught in the floods in Alappuzha. But Josh says they are sort of 'on a strike', as the government has not bothered to help them in the rescue mission. 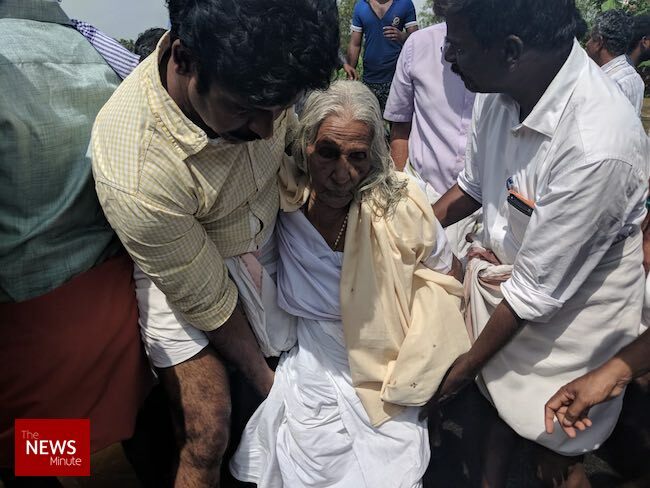 Even as the rest of Kerala heaved a sigh of relief with the red alert being withdrawn, parts of Alappuzha are struggling to rescue people who are still stuck in their houses, and to deliver food to those who don't want to come out. 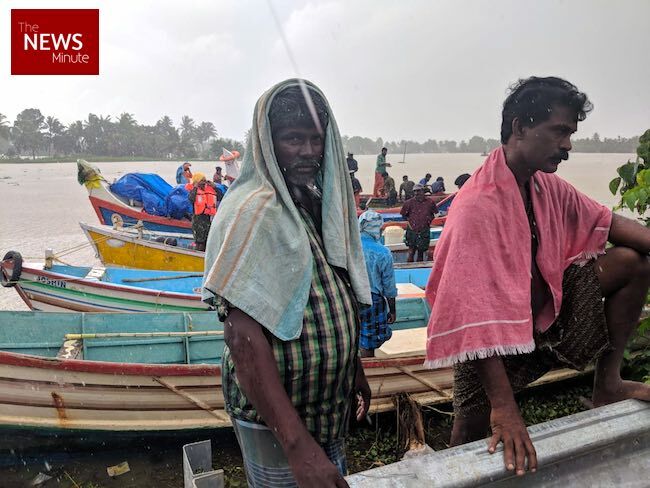 The road to Chengannur is flooded, and it is from Thakazhi that fishermen have been travelling to four panchayats – Edathuva, Nedumaran, Muttar and Champakulam to rescue people. "We brought whatever kerosene and diesel we had and have been doing rescue operations here. We have not asked the government to pay us, but they can at least ensure we have enough fuel. We have run out of fuel and no one is willing to give it to us, they are asking for papers. So we have decided to stay here," he says. A few of the boats that had some fuel left, did a few trips and brought out two dead bodies and many senior citizens who had been stuck in their houses for days. Champakulam block Panchayat President Poly Thomas says the district administration wants the panchayat leaders to go to the Inland Waterways godown in Alappuzha town, several kilometres away, and procure the fuel. "These people have come here because they are good Samaritans. If they were not there, many people would have died here. Should revenue officials not be standing here at this road that connects to four panchayats? They should have given fuel here rather than ask us to come to the town," he says. A quick call to the Inland Waterways Godown showed that the Block Panchayat President's allegation was true. The godown in charge told TNM that the Champakulam Panchayat President needs to go with requisition papers to the fuel distribution point. As the crowd gathered explaining their grievances, a man named Subahu said, "We should be thankful to these fishermen. The Navy hasn't come here once. NDRF came with three rubber boats and rescued six people. Then the motor in one of their boats failed. We have not seen them after that." 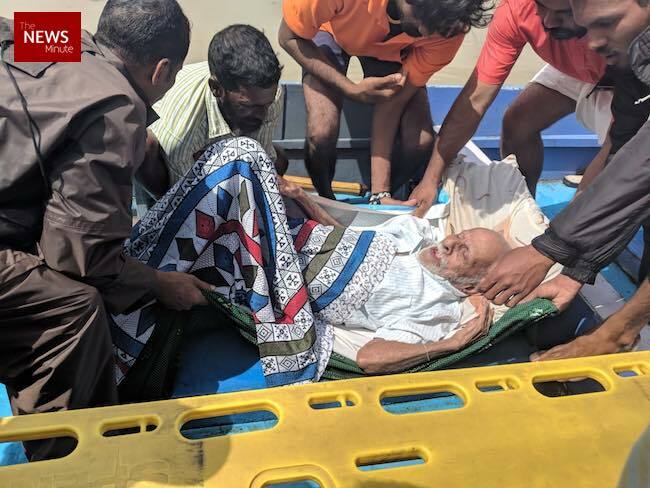 The angry voices grew with many saying that fishermen from Alappuzha and nearby districts had rescued close to thousands of people, and if not for them, the death toll would have risen rapidly. Even the District Collector of Alappuzha confirmed the role of fishermen in the rescue ops. "Fishermen rescued many people with their boats. They were able to rescue 16000 people in the region using their boats. Their role in this rescue mission was immense," said a statement from the Alappuzha Collector. Even as the crowd debates on whether local police and revenue officials had been of any help at all, three fishing boats come in. Two had dead bodies in them, and one had a frail old couple, who were helped out into an ambulance. "The old man is 95 years old, he is bedridden, we had to lower him from his house on a bed sheet. He will be okay. The man who died is Rajan, he is 55 years old. He was in a relief camp, but he tried to go somewhere to pick up a bag and drowned. The other body is of an unidentified person. We had actually gone to rescue people, instead we have come back with two dead bodies," says a young fisherman who was the leader of the team. When I asked him for his name, he said that wasn't relevant.